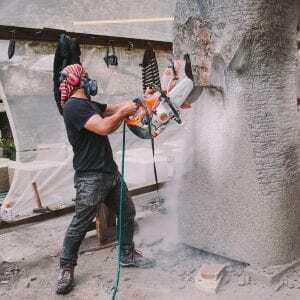 How can I create a contemporary litho-sonic chamber that addresses the cultural and geological trajectory of Cornish granite, while critically attending to the immersive properties of industrial crafts-based labour practices? I will be investigating the fundamental nature of Cornish granite through litho-sonic fieldwork, with SWCTN fellow Luke Reed, in Trenoweth Dimension Granite Quarry. Trenoweth is the last traditional working granite quarry in Cornwall, and within its working environs it hosts the complex relations between ancient granite-working techniques, modern industrial labour practices and vibrant more-than-human materialisms. 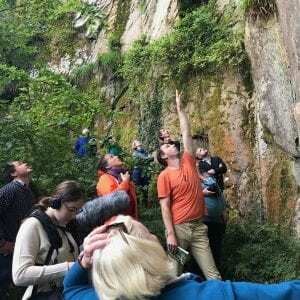 The aim for the sonic fieldwork is to record a broad range of sounds from the active quarry and to collaboratively evolve the recordings through different digital processes. 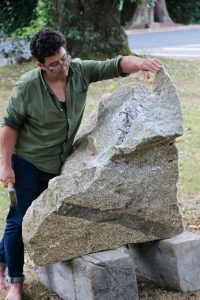 The objective for the digitally manipulated sound recordings is to both sonically explore the quarry, and incorporate them into a specially designed granite chamber sited in the landscape of the far south west of Cornwall. 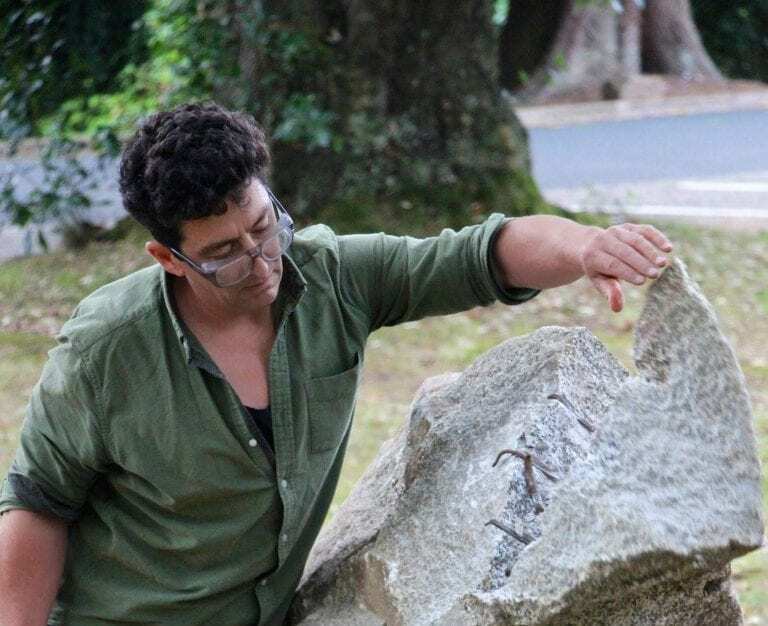 Cornwall’s built environment evidences granite structures that date back five and half thousand years, and by engaging archaeoacoustics research and acoustic modelling, my aim is to co-design an ‘anthropolithic’ sonic chamber or quoit. This structure will have the capacity for generating sonic ‘sweet spots’ through both digital and structural sound capabilities, with the intention of inducing altered states of being – towards an empathic relationship with the labour-intensive practices of working with granite. The emphasis of the work also lies in exploring an anticipatory-historical (DeSilvey et al, 2011) speculative narrative formed around the potential for digital redundancy… towards a possible new Stone Age. 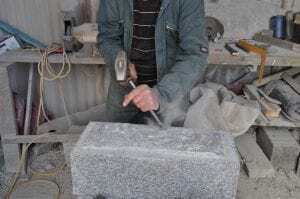 As a granite sculptor, quarry worker and researcher in cultural geography, I am fundamentally interested in the relationship between place, material, making and people. Through my SWCTN research, with its focus on granite-based and sonic research methodologies and outputs, I am investigating the role of immersion in relation to crafts-based industrial labour practices, while attending to the interface of magick and technology – a relationship that I consider to be integral to the psycho-geographical context of Cornwall.